We are pleased to invite you to participate in the 5th International Workshop on Privacy Engineering (IWPE’19). Ongoing news reports regarding global surveillance programs, massive personal data breaches in corporate databases, and notorious examples of personal tragedies due to privacy violations have intensified societal demands for privacy-friendly systems. In response, current legislative and standardization processes worldwide aim to strengthen individual’s privacy by introducing legal, organizational and technical frameworks that personal data collectors and processors must follow. However, in practice, these initiatives alone are not enough to guarantee that organizations and software developers will be able to identify and adopt appropriate privacy engineering techniques in their daily practices. It is also difficult to systematically evaluate whether the systems developed comply with legal frameworks, provide necessary technical assurances, and fulfill users’ privacy requirements. It is evident that research is needed in developing techniques and tools that can aid the translation of legal and normative concepts, as well as user expectations into systems requirements. Furthermore, methods that can support organizations and engineers in developing systems that address these requirements are of increasing value. In this context, privacy engineering research is emerging as an important topic. Engineers are increasingly expected to build and maintain privacy-preserving and data-protection compliant systems in domains such as health, energy, transportation, social computing, law enforcement, public services; based on different infrastructures such as cloud, grid, or mobile. While there is a consensus on the benefits of an engineering approach to privacy, concrete proposals for models, methods, techniques and tools that support engineers and organizations in this endeavor are few and in need of immediate attention. (5) vision papers that take a clear position informed by evidence based on a thorough literature review. This topic list is not meant to be exhaustive; since IWPE’19 is interested in all aspects of privacy engineering. However, to screen out off-topic papers early in the review process, we request authors to submit an abstract prior to their paper submission. Abstracts of papers without a clear application to privacy engineering will be considered outside the scope of this workshop and may be rejected. We solicit unpublished short position papers (up to 4 pages) and long papers reporting technical, research or industry experience (up to 8 pages) on all dimensions of the privacy engineering domain. Each paper, written in English, must follow IEEE Proceedings format. 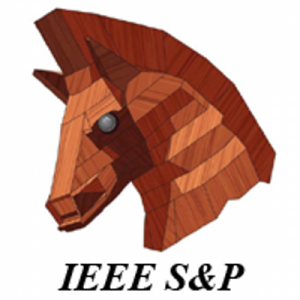 All IWPE’19 papers will be published in IEEE eXplore, which is indexed by EI Engineering Index, ISI Conference Proceedings Citation Index (CPCI-S), Scopus etc.